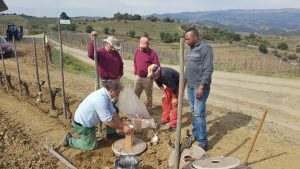 This week we kicked off our first FTI planting at the famous Alvaro Palacios winery in Gratallops, Catalonia. 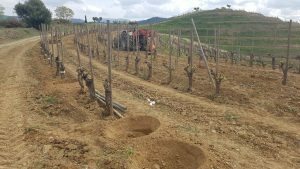 Here we did a first exercise of about 100 Cocoons for interplanting (replacing dead vines). 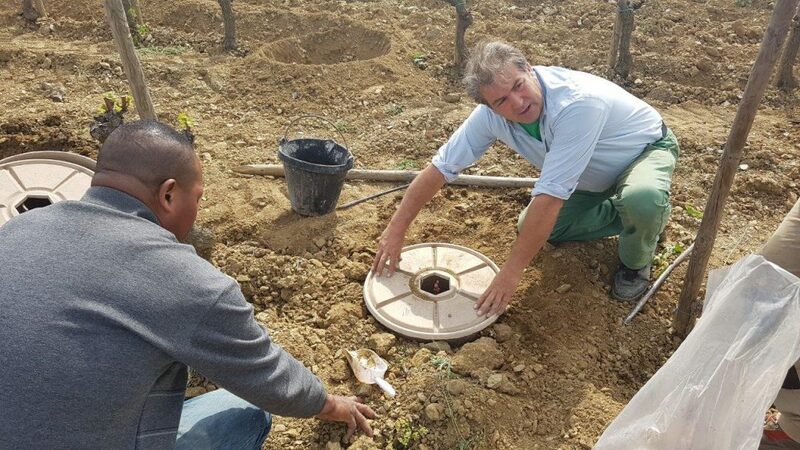 These wineries spend a lot of time and resources on watering the new plants and are very curious as to whether the Cocoon can take over this function. As the planting season is about to finish, we had to act fast. The new Cocoons with reinforced shells were used. 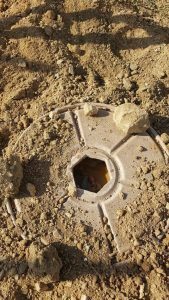 In the coming months we’ll be testing the Cocoons further at plantings in the Tarragona and Lérida provinces (Pla de Santa Maria for restoration of a burned down forestry area, Alcover for mine restauration, Granyena de les Garrigues and Lleida for greener motorways). 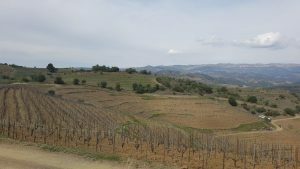 Furthermore, we’ll plant a significant amount of Cocoons in Palencia where Volterra has its other office to test oak trees with truffles in order to demonstrate future economic opportunities for land owners. 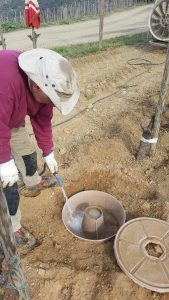 This entry was posted in News and tagged Catalonia, planting, soil, trials, vineyard restoration, winery, WP 5. Bookmark the permalink.